Self-service business intelligence (BI) and data integration emerged from a recent year-long study as the two leading information management problems confronting IT and finance professionals. The survey, carried out by self-service BI supplier Matillion, took in more than 10,000 managers in 150 countries and 18 sectors. IT professionals (1,972) made up almost 20% of the respondents, which also included 2,130 finance professionals and 1,217 CEOs. Nearly 36% of respondents indicated that “delivering self-service reporting and analysis” was their top concern. As a second issue, 27.4% stated “reporting and analysing across multiple systems”. 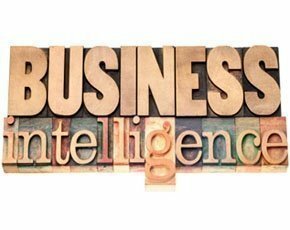 Self-service BI has long been described as “the holy grail of business intelligence”, while the 2015 TechTarget IT Priorities Survey had data integration as a high priority, with 30% of 2,012 respondents citing it. Some of the Matillion survey’s respondents also indicated a desire to “unlock data buried in systems” (16%) and a keenness to “reduce the cost of producing reports” (8.6%). Respondents were, the survey’s authors said, drawn mostly from the US, UK, western Europe and Asia, across 18 industries.